Cook Inlet Tribal Council Ernie Turner Center is a tribal non-profit rehabilitation service provider which has been providing substance abuse treatment to over 10,000 natives of Alaska and American Indians annually since their inception in 1983. This facility offers its patients a variety of treatment options ranging from inpatient treatment, outpatient, intensive outpatient, etc. Also, this facility offers support services which comprise of employment and training services, education, family nurturing, and workforce development – everything is designed to help in the re-entry of their patients into society. Cook Inlet Tribal Council Ernie Turner Center accommodation is a 2-story building structure which has a capacity of 24 beds and is shared by two groups of patients; patients who are in need of detox services and patients who are in need of residential treatment. Although most rooms are built to house 2 patients, this facility also has single handicap accessible rooms and each room has their bathroom. The accommodation also has a kitchen, dining facility, office space for staffs, visiting rooms and meeting rooms. Patients admitted into this facility are required to assist in the kitchen, cleaning of the accommodation and other necessary chores. The treatment options offered to the patients at Cook Inlet Tribal Council Ernie Turner Center is highly influenced by the free detox services in which the patient is required to undergo and pass their personalized treatment plan to be drafted. During the detox program which lasts from five to seven days, patients are stabilized, relieved of the withdrawal symptoms, and required to attend daily group meetings. Also, they are given access to the facility’s case manager who assisted them in making the right choice of treatment options. The therapy choices offered at Cook Inlet Tribal Council Ernie Turner Center are developed and structured to aid in the recovery process of the patients admitted into this facility. The therapy choices used by this facility are being administered to their patients by experienced professionals, and their patients are required to attend daily therapy sessions at the facility such as the one-on-one therapy sessions, group sessions, family sessions, etc. 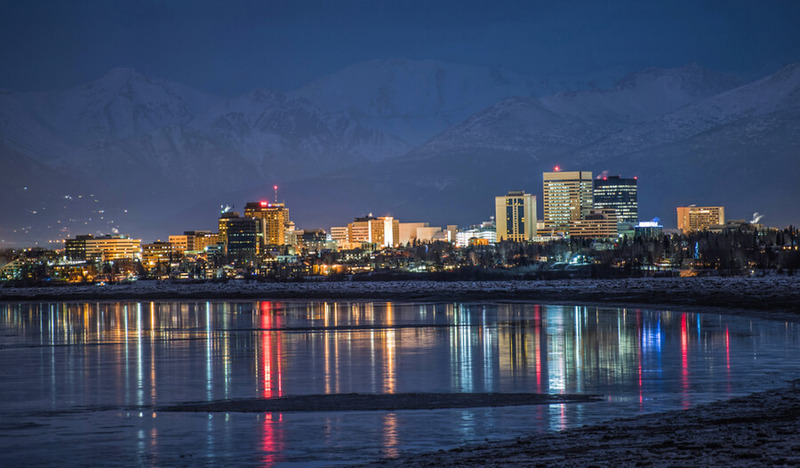 Established at Anchorage Alaska in the year 1983, Cook Inlet Tribal Council Ernie Turner Center has been unfailing in the provision of substance abuse rehabilitation treatment services to the Native American population who are in need of their services. Although patients from other parts of the country are eligible for admission and the waiting list is usually long, the services rendered by this facility is worth the wait. This facility offers a wide range of treatment and therapy options which are government approved and aid in the re-entry of their patients into society utilizing educational support, and life and job skills learning especially for patients who were homeless or had trouble with the law. Working at Cook Inlet Tribal Council Ernie Turner Center as the facility’s staff is a group of highly trained individuals who have been treating patients who have been suffering from substance abuse and mental health problems for years. The staff at Cook Inlet Tribal Council Ernie Turner Center which consist of a consulting physician, nurse practitioners, CSACs and CSWs are certified, licensed and the board approved to administer substance abuse treatment services to patients admitted into this facility. Also, the staffs working at this facility ensure that the facility is functioning smoothly and their patients are well taken care of. My son Christopher Justin Converse is addicted to marijuana. He has a background of trauma from foster care (5 homes the first year of his life), birth parent drinking and attachment bonding trouble. He is currently homeless after living in his car. The motor blew up and his car was scrapped. He needs diagnosis for FASD. We are trying to get him help with disability but we may have to get him treatment first. I thought he had schizophrenia but I now realize the symptoms were from heavy use of marijuana. We are currently suffering from elder abuse as he has huge adult tantrums and emotional abuse in order to get money for his addiction. I have had to call the cops because he breaks things in our home to intimidate us. Please help us. Thank you.